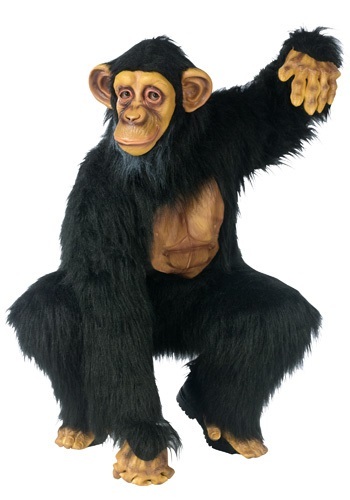 Adult Chimpanzee Costume By: Fun World for the 2015 Costume season. No need to hoot and holler this Adult Chimpanzee Costume Is the perfect get up for your next costume party. It�s true what they say: the party doesn�t start until the ape gets here! You�re that ape my friends, or more specifically, you�re that chimp. Looks like that�s your cue to go bananas!